Hey lovelies, just a quick post to show you how pretty the Eyemimo false lashes I just reviewed in my previous post are. For this look, I used their #NTR48 lashes as they add enough drama without looking too heavy or hiding any of the eyeshadows. 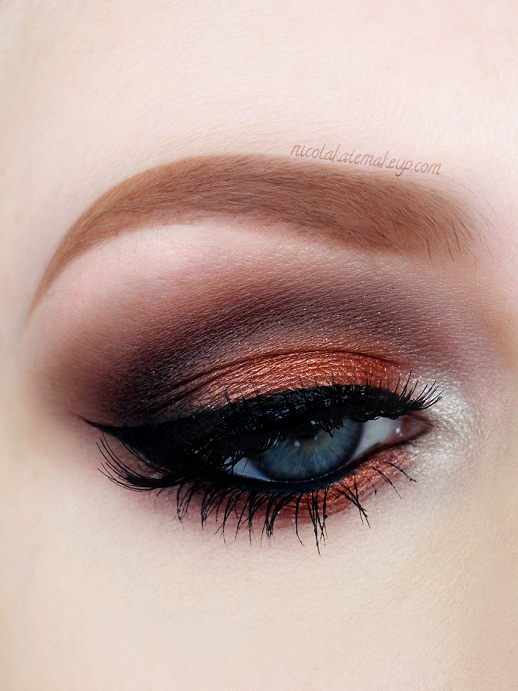 As orange and coppery shadows are some of my favourite ever colours to use on my blue eyes, I paired up Glamour Doll Eyes 'Infectious' loose eyeshadow with my Urban Decay Naked and Naked 2 palettes to create this gorgeously glamorous combination.